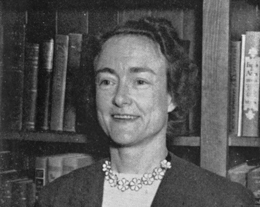 Celeste Turner Wright was a woman of firsts at UC Davis. She was the first female faculty member with a doctorate, the first tenured female faculty member, the first campus drama instructor, the first humanities professor to receive a campus Faculty Research Lecturer award and one of the first campus women to have a building named after her. When she died in 1999, Wright left a legacy that includes the development of the campus's humanities curriculum, a theatre building named after her, a poetry contest she created and endowed, and countless students who benefited from her academic fervor. She chaired the English department in 1928-34, chaired the Division of Languages and Literature in 1934-52 and chaired the Department of English, Dramatic Art and Speech in 1952-55. From the moment Wright came to UC Davis until many years after her retirement, she immersed herself in campus life. She lived in the dorms as a young professor, married one of her students, directed more than 15 plays, helped establish a Davis chapter of Phi Beta Kappa and, even as recently as 1998, repeated a turn as a Picnic Day marshal, having done so previously in 1975. She also helped develop UC Davis into a complex research university. She arrived at a fledgling campus — known then as the University Farm annex of UC Berkeley — that had 350 students, eight of whom were women; she was one of two English department faculty members. She retired in 1979 from an English department of 20 professors, and a university with three professional schools and 20,000 students.